Choosing to say goodbye to an animal member of your family can be impossible. Even if you know that their every waking minute is filled with pain. 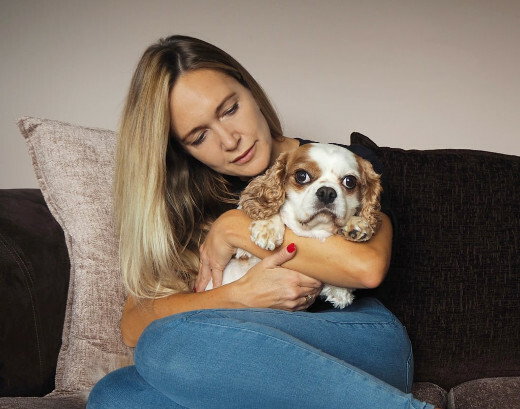 It is to make this heartrending personal decision at least that little bit easier that we offer a complete pet quality of life consultation before we provide pet euthanasia at home. The "at home" part of the support we provide for you is, we feel, key. Picture: your animal companion gets to rest in their bed or their favourite spot on the sofa, surrounded by their favourite toys or blankets and, of course, by you and the rest of their family if you wish to be present. They can relax and be at ease. In many cases, we find that pets we treat do not even notice that one of our Mobile Vets is present. The examination is the best way to reassure yourself that nothing else can be done for your ailing pet. Putting a dog down or putting a cat to sleep is never a simple choice. Even when it comes to their current physical pain against your future heartbreak, you will never want to have to say goodbye. It is important to remember that in many ways this is the last gift you can give to your loyal companion - an end to their daily suffering. As pet owners and animal lovers ourselves, we understand that you will no doubt have questions about the process of pet euthanasia in home. We proceed in a way which is entirely free from stress and further pain for your pet. They simply lie down and an injection puts them into a state of unconsciousness. If you have practical concerns about cat euthanasia costs or the cost of putting a dog to sleep, please do get in touch with us too. 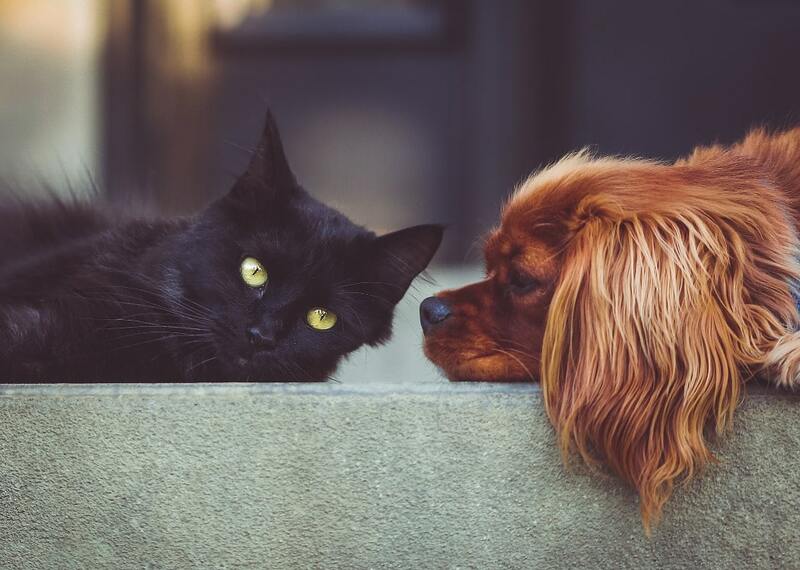 The caring team you will speak to understand that a discussion about practicalities such as cat and dog euthanasia costs is usually unavoidable. They are as ready to discuss these with you as they are to help you deal with grief or understand any other part of the process. However we can, we are here to help you. Deciding on over-the-counter pet pain relief medication can be confusing at best - and dangerous for your animal companion at worst. We can dispense pain relief for dogs and cats following prescriptions provided by other veterinary care experts we trust or provide a full pet quality of life consultation and health examination in the comfort of your own home. This in-home consultation is best for your convenience, your pet's comfort, and indeed the accuracy of the diagnosis itself. This way, we can often suggest changes to your pet's diet or lifestyle which might help them feel more comfortable - alongside any medicinal pain relief for cats and dogs which we prescribe at the same time. We have a local pet chapel of rest specially equipped and accredited for pet cremation. The grounds are peaceful and attractive and make the perfect location for spreading ashes after any animal cremation ceremony we conduct is over. You will be able to choose either solo or group cat cremation and dog cremation. The former may be more suitable for you if you wish to have your pet's ashes returned to you, while the latter can give you the comfort of knowing your animal companion had some company on their final journey while also ameliorating some concerns about pet cremation costs. If you need more information, or simply a willing ear, please do not hesitate to reach out to us. Amongst the Cloud 9 Vets team, you will find many animal lovers who have been through what you are going through. Many of us have preferred to simply scatter the ashes of our sadly departed in a favourite spot and try to move on. Others have decided that some form of pet memorial would better suit their needs, either for dealing with grief or for memorialisation. We have gathered a small range of pet memorials here for you to choose from if you fall into the second camp. They are the kinds of things, items such as pet marker stones and urns for ashes, which we have been looking for ourselves at times like this. Please contact us if we can be of any further assistance to you whatsoever.